Do you notice anything different? Well? It’s ok if you don’t but…let me just point it out. I now own this domain name! Now it is even easier to find this little home of mine. You should expect a new look too in the coming weeks with a few twists and maybe some boxes where you can type things. I enjoy this blog a lot, so I want to work on its look. It’s time for a spring makeover anyway. I don’t know why I am talking about spring…it was 80 degrees yesterday, so it is practically summer. Summer can be a rough time, depending on where you live. In DC, it is horrible. The hot air clouds your judgement and your skin oozes sweat and you can’t think. The only relief is a cool white wine and the sweet berries that grow this time of year. This pairing is dedicated to inevitable heat and all the sweaty, sweet things that come with it. This wine is bubbly and I imagined how delicious frozen berries would be plopped in the glass. 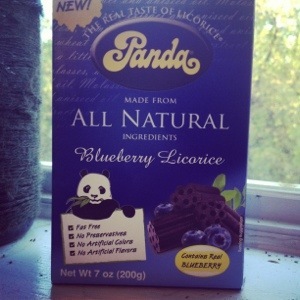 When I saw the blueberry licorice, I figured it was an obvious choice. A crisp wine, not overly sweet, would benefit from the tart blueberry. Granted, I was dealing with candy and not blueberries so there was some risk involved. I tried the licorice first and was hit by the soft, grainy texture. The blueberry flavor did not overwhelm and I was surprised by the touch of anise at the end. The candy works, but I knew straight off this was going to be a challenge. I had imagined something more sweet andI honestly did not think there would be an anise flavor. Even though it said licorice, I thought they would make it like strawberry licorice and not have any anise. The wine has a bouquet of crisp, clean Macintosh apples. 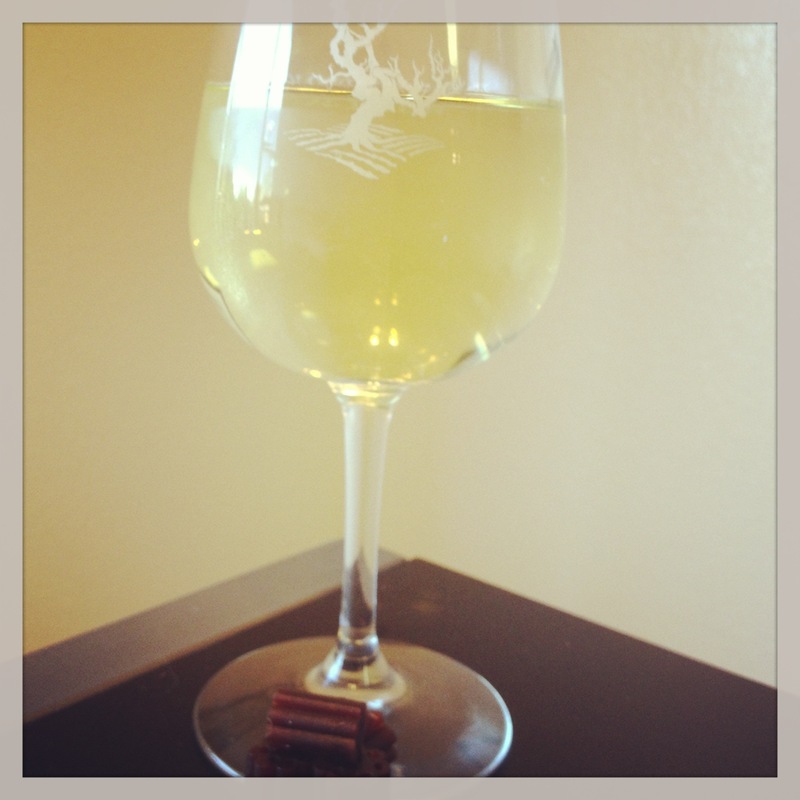 The bubbling, light wine dances on your tongue with the subtle apple flavor. I highly recommend this wine. It’s pricier, but it is one of my favorites. I took a sip with a piece of licorice still in my mouth and didn’t notice any relationship. It was not bad, but it wasn’t really good. It just was. Sam really liked it, so his taste buds clearly have a different opinion. That’s the cool thing about tastebuds. Even when I think I am wrong…to someone..I could be right. 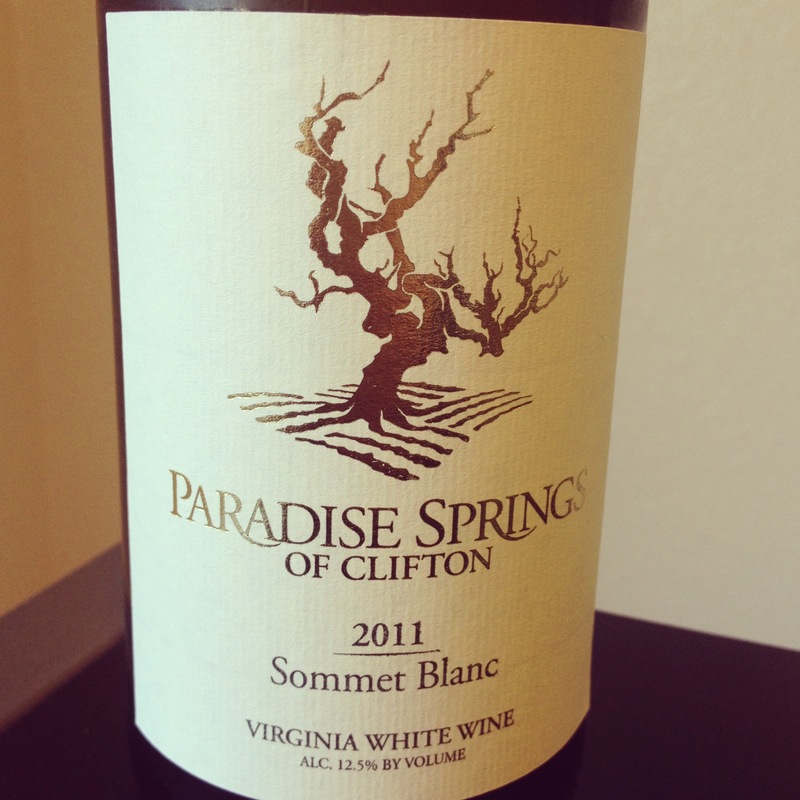 Posted in Sommet Blanc, White Wine and tagged Blueberry, Candy, Liquorice, Paradise Springs, Wine. Bookmark the permalink.